Compact laundry is different than regular laundry. In fact, the most reliable brands for compact washers are almost opposite from a regular top load or front load. Compact laundry, unlike more conventional, washers and dryers, originated from Europe because they tend to have smaller living spaces. Even after their introduction in the U.S. 30 years ago, the most popular products are still manufactured in Europe versus the U.S. or Mexico for regular laundry. For example, Bosch and Miele are German. Electrolux and Asko are Swedish but are now produced in Italy and Slovenia respectively. Blomberg is Turkish (which still could be European depending on what side of Turkey). LG and Samsung are different as both are Korean. 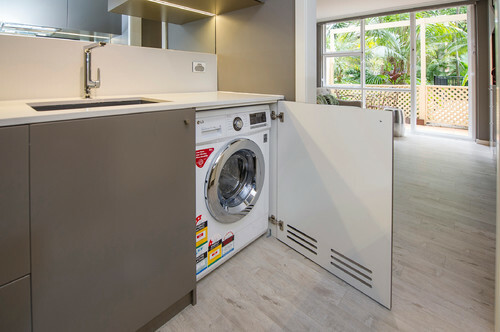 In this article, we will review what compact laundry is, our methodology for reliability and then the most reliable brands by actual percentage. Compact laundry is 34 inches high by 24 inches wide and 24 inches deep. It is designed to be placed in a tighter space, like a closet, either side-by-side or stacked. It also has the same dimensions as a dishwasher, so you can also place them in your kitchen. 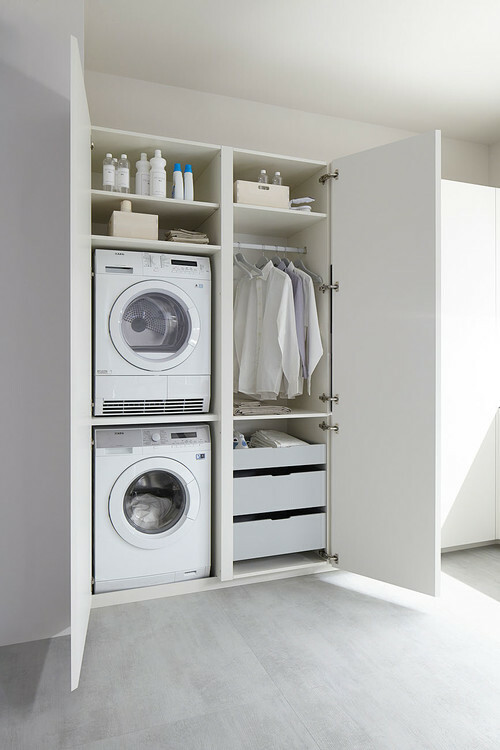 You can also place compact laundry in most closets or upstairs. 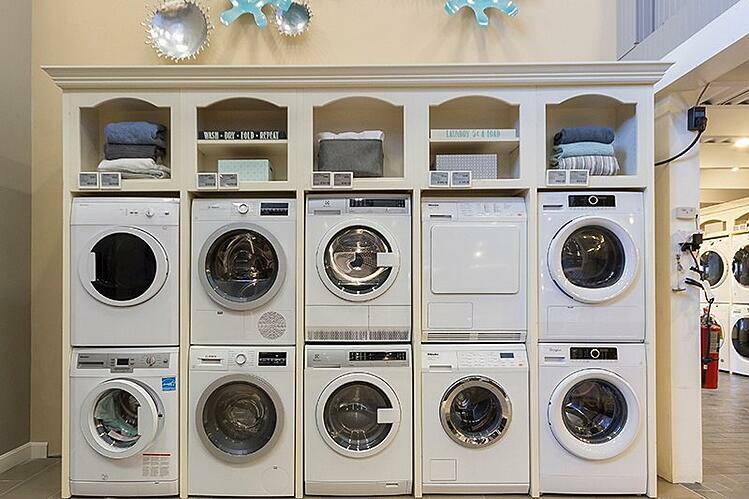 Most dryers are ventless, so all you need is water and electricity. Most condos and apartments in Boston have compact laundry. To be exact, we had 34,687 service calls logged in 2018. 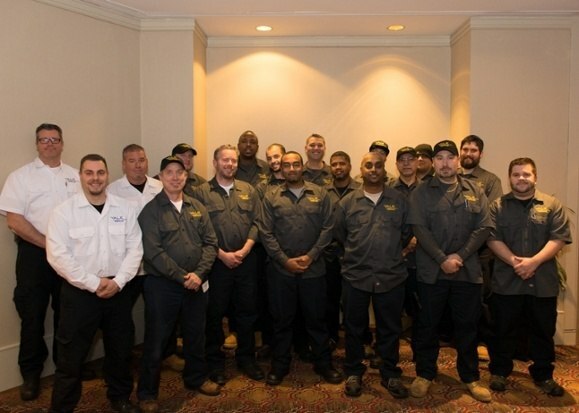 We have 30 service techs on 8-10 service calls per day, 5 days a week with another 10 working on the weekend. In the chart below, you will see sales in the right column and service calls on the left for 2019. The percentage is calculated by service calls divided by sales over that period. It is the fairest measure of initial quality. However, we do not distinguish between a major or minor call. If you need us to send a technician, it counts. Customer education phone calls and damage are not applied. There are homeowners who may unknowingly call the manufacturer. Sometimes a builder will buy and the homeowner will not know to call us. The average rate for compact washers is 10.23% service within the first year. Bosch in 2018 and looking ahead to 2019 is the most reliable by almost 3.4%. It’s almost twice more reliable than the average appliance service rate at 13.6%. Samsung would be next at 8.96% and then Miele at 10.56, but service rates may be tied to the types of compact laundry. We cover this extensively in other posts, but it's important to understand how it affects reliability especially with dryers, not washers. Vented: Vented is similar to almost every full-size laundry on the market. You vent it outside. Samsung and Blomberg are the most common. Most manufacturers don't qualify, because of UL qualifications of containing fire in the dryer for 7 hours. Ventless or condenser dry drying is the most common type. It doesn't have to be vented to the outside, because the steam is condensed to water. You can place ventless anywhere since you do not have to run a vent to the outside. Ventless dryers do emit more heat to your room. A heat pump is a form of ventless drying. It is common in Europe and is by far the most efficient dryer on the market. Instead of elements, it uses a compressor to cool and convert the heated air. Most brands are 220 volts, but Miele actually has the most innovative using just 110 volts. We have arranged this in order of features. Added features can affect service. Again we cover this in greater detail in other “Best” posts. Miele has revolutionized compact laundry. The washer has an automatic dispenser for detergents and pods, steam, two pumps for better distribution of water and detergent as well as the honeycomb drum designed to wash gentle fabrics. The dryer may be better. It is the most efficient 110 volt on the market. You can order different scents for your clothes to be added to the dry cycle. Along with Bosch, Miele is the only Smart laundry, you can control through an app on your phone. Miele is new, so we would expect their service rate to drop in 2019. This brand doesn’t have any reliability issues in any of their products (other than the agitator-free top load washers, we don't sell in any brand). Their laundry features steam in a vented set. They will have a heat pump model later in the year. Samsung’s issue, as well as most premium brands, is the lack of service techs to repair. Their problem may be worse, because of their explosive growth in the last few years. They used to be the only vented dryers on the before Samsung. Now they are the least expensive. Should You buy an Extended Warranty on a Washer? You will be asked and sometimes pushed by your appliance store. First, you should never buy a warranty from a company who does not offer their own service. These warranties are not designed to fix anything promptly. If you are buying this for a peace of mind, then you will get exactly opposite with the repair or lack thereof. Compact laundry is a very different repair. It is not the same as regular laundry and requires a more technically skilled technician. I would be hesitant unless you are certain the repair company has actual experience, including the manufacturers themselves. You may want to take your chances if you cannot find someone competent. First, it depends on how you are venting your dryer. If so then, Samsung would be the best with Blomberg being less expensive. Ventless laundry is all good. Miele is the best, but also the priciest at over $3700. For reliability, Bosch is excellent. Remember: Most of these machines are more intricate than regular, full-size laundry. You should inquire about service before you purchase. What is the best compact washing machine? It depends on if you are venting to the outside or not on the dryer. The best ventless machine is the Miele, but it is $3700. The washer has automatic dispensing, steam, a high RPM spin, two pumps for better distribution of water and detergent and a honeycomb drum designed to handle gentle fabrics. Bosch would be a good reliable alternative. They have three models. For vented Samsung would be better than Blomberg and Asko. Can you run a washer and dryer at the same time? Can you stack any front load washer and dryer? You can stack any Miele on a Miele of the same year. You should not stack a another brand on a different brand, because they have different kits to keep the dryer in place. What is the best stackable washer and dryer? It depends on price and venting specs. Miele is the best with incredible washer features and a revolutionary 110 heat pump dryer. Bosch is the most reliable at a far less price. For vented, Samsung is the second most reliable to Bosch and has steam. Are ventless dryers better than vented dryers? They are more convenient, because they can be placed anywhere with water and power. They do not dry as fast and emit heat into the room. Heat pumps, a form of ventless dryer, are more efficient and do not emit heat. Download our Yale Washer Buying Guide with all the features, terms and brands of laundry. Over 210,000 people have already found answers in a Yale guide.